Keeping students interested in class can often feel like a challenge. That’s why it’s so important for teachers to structure their learning content, translate it into a story and complete it with images and video. Using and sharing strong visuals is crucial in engaging students and encouraging interaction during class. Thanks to crowdbeamer, that just got easier than ever before. 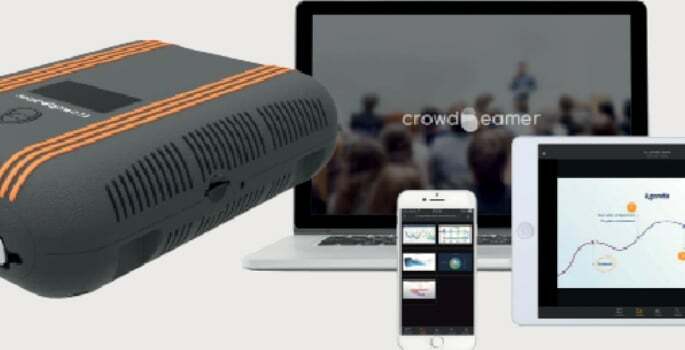 Crowdbeamer is a game-changing presentation system that streams any visual content in real time to all wirelessly connected smartphones, tablets, and laptops. All that teachers need to do is hook up their presentation laptop and start sharing (no software installation required!). And if they want to share visuals from a tablet, a smartboard, a digital camera or even a microscope, that’s entirely possible as well. Any device with an HDMI or VGA output works with crowdbeamer. Crowdbeamer will instantly deliver shared content to the free crowdbeamer app installed on students’ mobile devices, providing all of them with the best view in class. The app’s zoom capabilities even make it possible to enlarge details, making it an excellent solution for visually impaired students as well. Using the crowdbeamer app during class, students can capture what they see and add comments to build their own course notes. Since it’s so easy to do that, they don’t need to spend time scribbling down all kinds of details. Instead, they feel encouraged to actively participate in class and spend more time to think and talk about the learning content. Crowdbeamer is an excellent example of how new technologies inspire new ways of teaching that are appropriate for the 21st century. Outdoor learning appears to be a unique approach to motivating students in a relevant context. Thanks to crowdbeamer’s built-in WiFi and battery, teachers can take it with them during outdoor learning activities. That makes it easy to share supporting content from their tablet or digital camera, strengthening the outdoor learning experience and keeping students actively engaged. Crowdbeamer also facilitates classroom arrangements that create a sense of community and encourage students to interact and to learn together. Whether it’s a ‘Teacher in the Middle’ setup, an open square with the open side facing the smartboard, or a fluid classroom arrangement that changes with evolving learning needs, crowdbeamer enables teachers to organize the classroom in a way that encourages interaction. Crowdbeamer is developed by RORYCO, a Belgium-based company founded with the mission to bring to market easy-to-use solutions for all professionals who are involved in sharing information with a live audience. 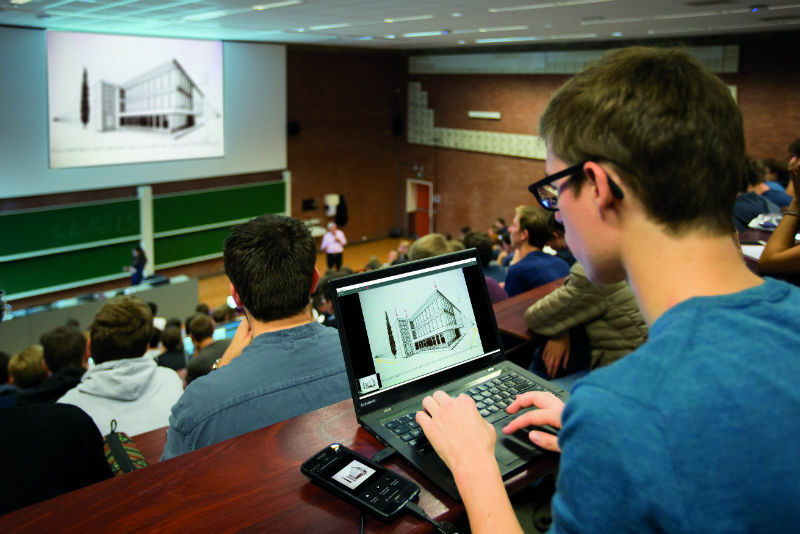 To find out how crowdbeamer can help you increase student engagement, click here.